A new Sega Nerds interview with Bioware’s Miles Holmes disclosed some new details on what to expect in the upcoming Fall release of Sonic Chronicles: The Dark Brotherhood. 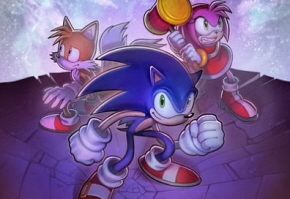 We have the video below for review, but in brief, much like in Sonic Adventure there will be a “catch-up” feature in the form of journal extracts. When you turn off the game and restart it later, you’ll get a briefing on what’s going on and what you need to do next. Also, Tails’s Workshop will serve as a sort of “home base” for your party, allowing you to heal your members and change them out without worry about an attack. In battle, there will be a grading system that judges how well you did. With regard to Chaos, you will be able to collect them and equip their various abilities. They’re available all over the playing maps, and they hatch at random, making it difficult for Chao faithful to completely say whether they’ve collected them all. For more details, the 15 minute Sega Nerds interview with Mr. Holmes is below.